We pay 75% commission on every single sale! We use the sales platform www.clickbank.com. They are a proven affiliate platform that pay twice on month by cheque. You sign up for an account at Clickbank. During the signup process you will receive a "Clickbank ID". The link that is output from the form is your "hoplink". This is the link that you will promote to your friends, family, or online advertising. When someone clicks on that link and buys one of our products, you automatically receive 75% (£20.25 a sale) of the purchase. It's that simple. 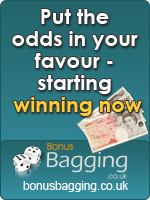 £27 Bonus Bagging product - 75% commissions. £97 Arbitrage Software - 50% commissions. £97 Horse Racing Software - 50% commissions. Expect huge EPCs and tiny refund rates. These products are rock solid and the users love them. If you can do 15 sales a month then I will increase front end commissions up to 100%. If you can do higher volume than that then email me and I can offer a better deal. If you want 100% commissions then sign up to our affiliates list. I'm just emailing you to tell you about an online service I have discovered. I have been with the service for 2 months now and have bagged over £3000 of free money! Does this sound complicated to you? I was thinking the same thing but the best thing about this service is that they work everything out for you and send it via email. It takes me literally 5 minutes to register and place a bet. I’m working for about £300 an hour! They even have a guarantee that if you lose any money following the system then they will refund you the loses??? How confident do they sound! This really is free money. Subject: Destroy the bookies with their OWN cash! 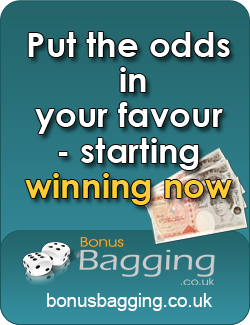 Wow, thanks to everybody giving me such excellent feedback on the Bonus Bagging service. It really is a genuine cracking service! I have spoken to Mike and there are only 3 spaces left before they close the doors. Click the link below to secure your place. 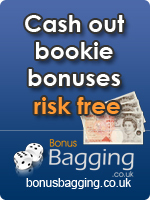 If you haven't been over to Bonus Bagging yet then check out the profit and loss these guys have made. An average of £550 every month. Would you like a risk free £500 a month extra profit? The methods they are using are all risk free. 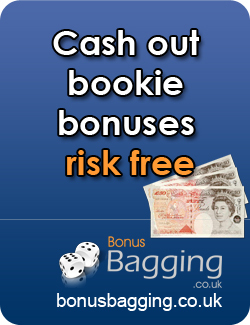 It involves cashing in the on bookmaker bonuses. They place 2 separate bets, 1 with the free bet bookmaker and another with a different bookmaker and what ever happens they make a risk free profit. They also use casino methods and spread betting methods! 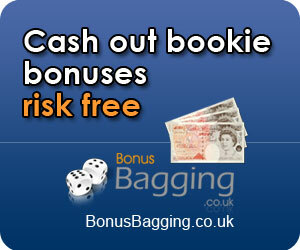 To secure a long term profit Bonus Bagging teaches you how to cash out reloads, refund offers, casino offers ... I could keep on going. Imagine getting all these offers sent to your in-box each day including the exact methods on how to cash them out completely risk free. The instructions are so simple, anybody could follow them. I have made over £3000 so far using this service and I paid £27 one off fee. If I was you I would bite Mikes hand off before he realises he isn't charging enough. 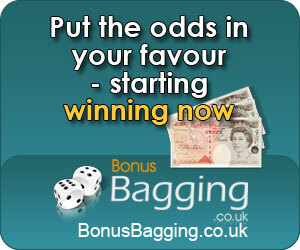 Did you have a look at bonus bagging yesterday? 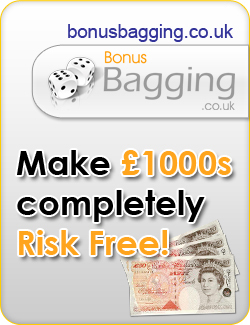 They have constantly made over £500 every single month using *RISK FREE* methods. This is £500 worth of free money every month. http://XXXXX.bonusbag.hop.clickbank.net/?x=3. You certainly won't be disappointed. 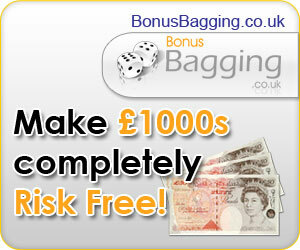 Mike the owner of Bonus Bagging has told me there are limited spaces left so hurry up and get signed up. He has given me permission to offer you this service at a special price of £27 but only for the next 24 hours and then it will rise to £37 if there are any spaces left so get signed up quickly.